Belle from Beauty and the Beast in "Real Life". Jirka Väätäinen reimagines Disney characters through photo compositing and digital painting combined to create “real life” versions . 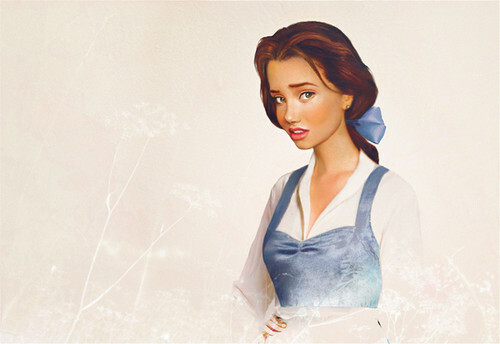 Wallpaper and background images in the Disney club tagged: art illustration belle beauty and the beast real life. This Disney photo might contain cocktail dress and sheath.